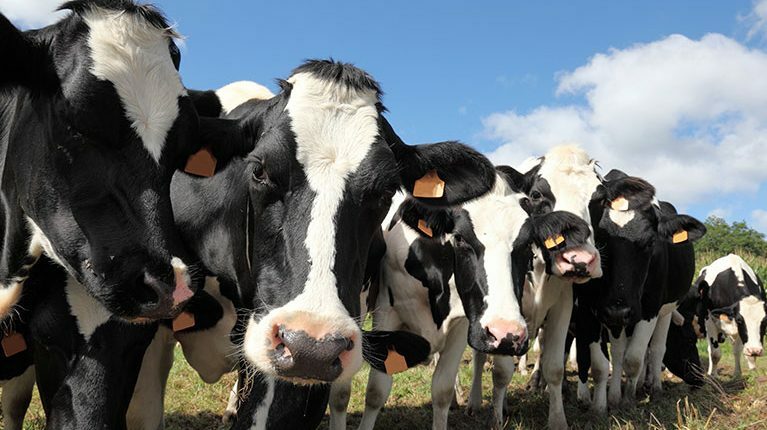 Whether it is a single garden cow, a pedigree herd of Jerseys or several hundred black and white dairy cows, Girling and Bowditch have been providing a personal service tailored to the individual needs of the farming community in Beaminster and its surrounding areas for many years. Veterinary dairy work is mainly based around preventative health care, to aid us with this we use full Interherd Plus reports generated from NMR data allowing us to tackle any problem areas should they arise. It also helps us to monitor energy levels within the herd. Milk samples are sent to Vale Veterinary Laboratories for culture; this helps us to target the bacteria causing the problem more easily. Should there be a case of mastitis a sample can be frozen and brought in to us if not improving with routine treatment. Calf scours can be a big problem with dairy calfs. We offer in-house testing for the most common causes in younger calves including; coronavirus, rotavirus, E-coli and crystosporidium. We have the facility to send faeces sample away to a specialist laboratory for further testing should it be necessary. Scour can also be a result of below standard colostrum or poor colostral intake. We can test calves to see whether adequate colostral intake has occurred. There are many different causal agents of abortion, should this occur we can investigate further; please contact us for more details. We’re proud to be a Local Vets approved practice. It shows we’re totally committed to staying independently owned and are here to serve our local community.